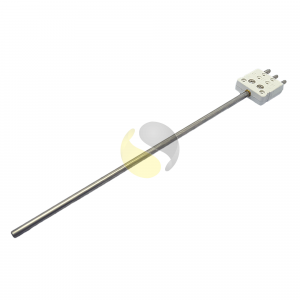 RTD resistance thermometer (Pt100) with 316 Stainless steel sheath and 3 pin standard plug. 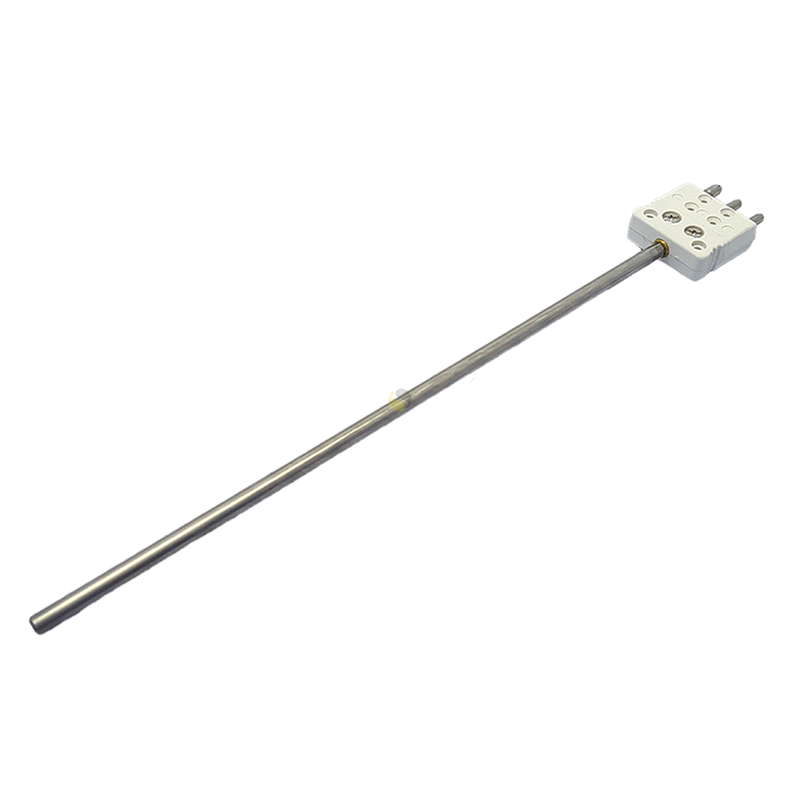 A Pt100 detector with 3.0mm or 6.0mm diameter stainless steel sheath as standard. 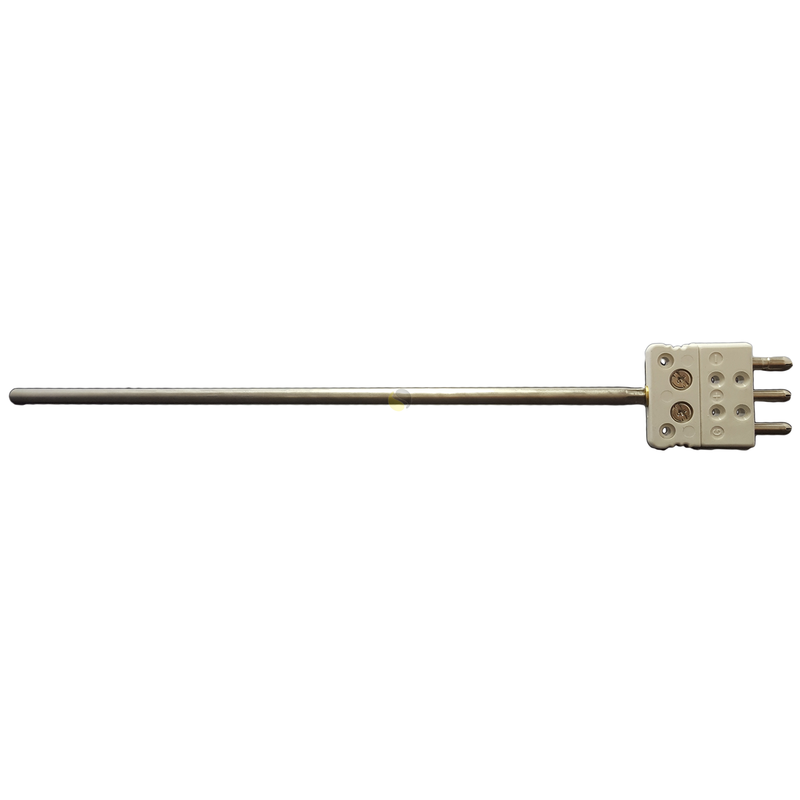 This rigid stem probe is ideal for general purpose temperature measurement giving the element protection in air or liquids. 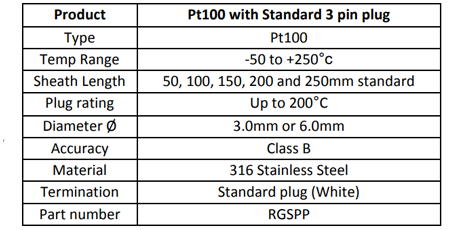 The Pt100 sensing element is 10mm long and is placed at the tip of the sheath which means that the minimum immersion depth should be at least 50mm. 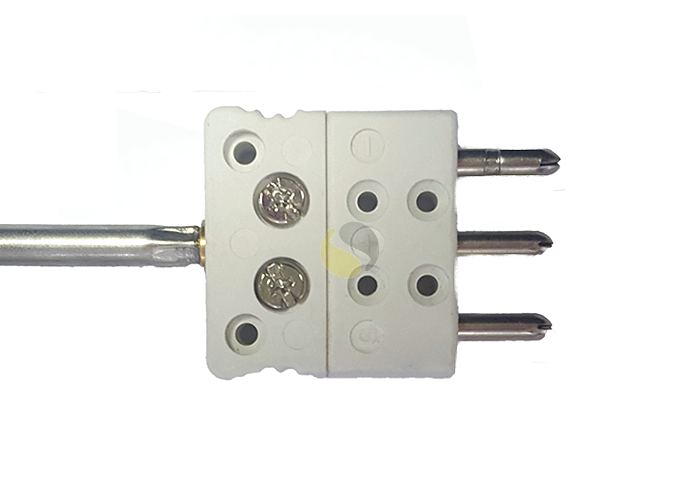 This probe features a convenient 3 pin standard connector which is ideal for fast connection.